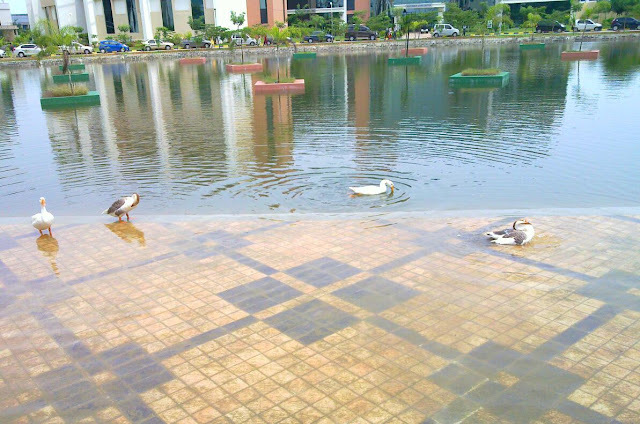 Ducks in the pond -- Its an interesting experience to share your office with ducks; fearless ducks who treat you as their equals. This is Wipro Sholinganallur. Just outside CDC 5 S5 Tower.